On how to earn enough money to retire and become happier too. 2. Can you reorganise your life and find two hours a week? If yes, you may retire happily within a few years. 3. Like other people, don't you want enough money to enjoy life, without being greedy? As you get richer, you gain joy from joy you bring to family, friends, neighbours, and the wider world. 4. Would you like to learn real secrets? These secrets turned me from being a pauper with no home, no car, no job, and ill-health, into a healthy, wealthy man helping people internationally. Work 2 hours weekly part-time. 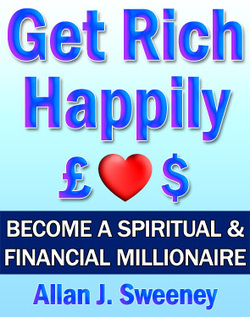 Just follow instructions, and then, Get Rich Happily.